Professional thieves have got to be among the smartest people around. They know how to manipulate other people just so they can snag an item or two without them noticing. Their diversionary tactics are things to behold. 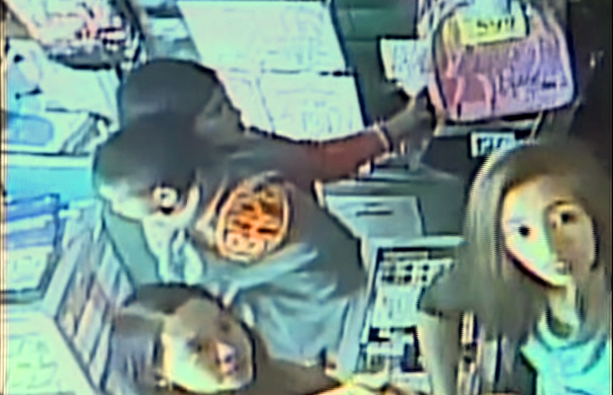 Take for instance these two women who were caught on video stealing products from a store in Baguio City. One woman took control of the store clerk's full attention while her companion stealthily grabbed products. The grabber used the little child she was carrying to cover the products she stole. It takes a lot of guts and focus to pull off something like this. And to think that one of the women is pregnant. Unless that belly bulge is yet another ruse designed to deceive their hapless victims. According to an ABS-CBN report, the incident happened at a store located along Lower Mabini Street in the city. The estimated value of the products that the women stole is around 4,000 pesos.